Loved the post! I, too, wished to be on Oprah’s book club. Alas, it is not to be. But on a smaller scale, what I really wanted was people to come up to me and tell me how the book affected them, what made it special. I really just wanted people to see me as an author. Since publishing, this has happened (on a very small scale, but measurable). I feel blessed. Kelly, Congratulations!! Huge to have a book published with another under contract; not easy to get picture books published, I know! I’m crossing my fingers and toes for you, too! So wise to focus on the smaller goals, too…. Thanks so much for the comment! My comment disappeared…. At the risk of repeating myself – I think it was a great fantasy. When your book is published I hope you’re interviewed by someone even better! Let’s see…I have a short term and immediate dream to discipline myself to get back to blogging (tied into that dream is the ability to carve out time to write over the summer when the kids are home). But my ultimate big writer’s dream is to be published, and have at least a handful of people tell me my book touched them in some way and made them think outside the box. Is that too much to ask? cookinghealthy, Yes, your first comment did apparently disappear — darn blogger! — thanks for reposting! I so appreciate your support of my fantasy dream! Dreams are never lame, they keep us alive, pushing, growing, breathing. As for O, never is a long time, you just never know. My dreams, short term, finish this book package and send it out to agents… After that, well a movie deal, an apartment in Barcelona! Keep the faith in your dreams. Thanks for the Friday, end-of-week laugh! I don’t dream that big yet. I bit off a huge bite right out of the box, with a memoir encompassing two heavy subjects…abuse and abandonment…well seasoned by the highjinks of two little kids with all day everyday to get into trouble. My only dream curently is to put an end to re-writes, have my editor say to stick a fork in it and get to a publisher. Once I understood the deep need to tell it, the thing now owns me. I can’t believe how many categories of living fall under these topics. So I’m driven to get it said and read. I can’t even conceive of something like writer’s block. I’m just looking forward to undisturbed sleep! So then, how’s come I think I have real time to deal with my new blog? Brenda, Here’s to dreams! I’ve got a million! And here’s to your movie deal and Barcelona — lovely! As you say, gotta have faith in the dreams! Thanks so much for the visit and the comment! This months writers dream is both gargantuan and teeny-tiny at once: finish the first draft of my novel so I can find my bearings and see where I am and start revising! Cathy, Wonderful HUGE news; congratulations!! That’s much much more than a dream, more like a reality. And I hope to be following in your footsteps soon! WOOOOHOOO!! Boy did I need this laugh today, Julia. Thank you. I started out with the same dreams as you (who DOESN’T want to be interviewed by Oprah?). But along the way, I really tamed them down and gave myself a bit of a reality check. I think it used to be more important to me to think in terms of notoriety. But now, it’s just about someONE enjoying my story, reading it, being touched by it, learning from it (and hopefully making ‘somewhat’ of a living at it). Would it be wonderful to be famous and never have to worry about bills again? Sure. The chances of that happening, especially with the status of book publishing now that I’ve gotten my act together … um… dim. But that’s OK. I have found something that I truly love doing – that enriches my life. So onward I go. My writer’s dream is to take one step at a time: finish second WIP, get an agent …. and take it from there. Thanks for this post – so honest and funny. Revealing about all of us writers. When I was working on my novel I came across several writers who “looked up” to me – they didn’t have agents (I do) and they wanted to know “how I did it” and I ended up reading and critiquing their novels. I did not like either of the novels totally btw – did not think they’d get pub’d let alone an agent. One of those writers is HUGE now, Brad and Jen bought the film rights to that book within 1 year of me looking at it, she was interviewed on Today, GMA, Oprah, HUGE success. Then the film came out. She became a HUGE bestseller, on the Book of the Month club etc. – all the while me sitting there fantasizing about being interviewed on GMA, there she was. (I was v. happy for her btw.) Then…the same frigging thing happened to my other friend. HUGE skyrocketing career, his eclipsed hers in the literary world, he bought a brownstone in NY with the proceeds from the book I critiqued – the one I thought was a CHORE to read and I couldn’t STAND. 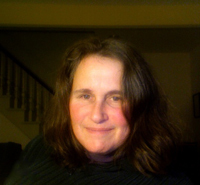 Oy vey – writing dreams…mine have been leveled. My book didn’t get published – one offer – we got so close – but in the end, nope. Both writers totally went to bat for my book too. Anyway – rambling…working on my 2nd novel now but still sort of fuming. . . happy for them yet ENVIOUS. LOL. We don’t have to give up this dream, Julia. You’re not looking at the big picture. 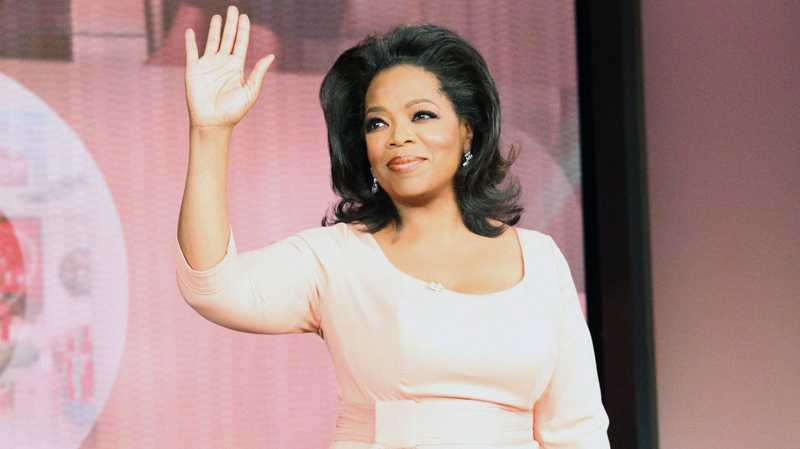 We just have to figure out who is the next Oprah and be the first in line. I don’t know if I have any huge dreams, except for the well of ideas to never run dry. Amanda, Glad you enjoyed….and have your own dreams, too! I’ve got to say, now that you planted the seed — it would be pretty cool to have a famous person’s kid (or a famous person!) want MY autograph! Let me know when your dream comes true; I’m confident it will! I so hear ya! Guess we’ll have to settle for The View. By the way, I had no idea Meredith Viera retired until I read your blog. Glad to get that vital piece of information from you. Lol, loved this post! I would have been “smiling like an idiot” through the whole interview, too (after my knees stopped knocking, that is). Alas, we’ll never get that chance, now. 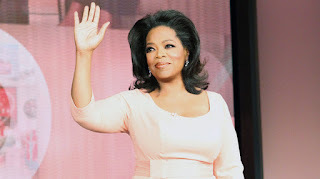 I wish someone would step in a fill Oprah’s shoes, but I just don’t know if that will ever happen.